Effective January 1st, 2013 - The Department of Motor Vehicles will refer most drivers to STAR-certified stations when they renew their vehicle registration. Star stations are Smog Check stations that meet higher performance standards established by the Bureau of Automotive Repair. 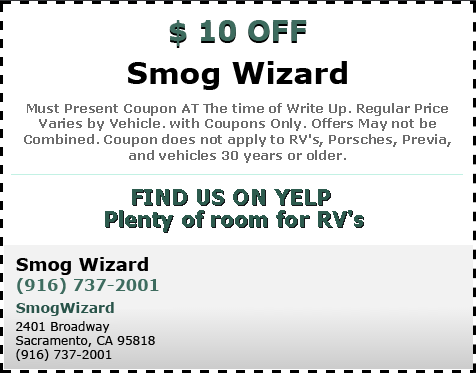 The finest Smog Check in Sacramento has been our goal since we first started. We are a California State certified Smog Check station and can provide service for all vehicles. Yes we do any type of inspection! No Appointments Needed. First come first serve! Whether your vehicle is required to go and test only, or if you received your renewal notice, come see us! Passenger Cars, Hybrids, SUV, Minivans, Diesels, Trucks, or Heavy Duty Trucks, and Motorhomes. We literally do it all.